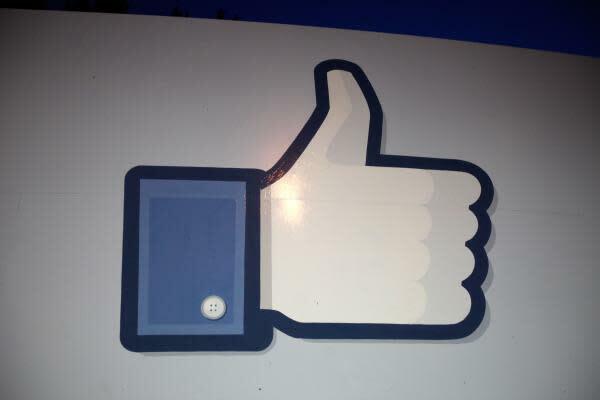 Should You Pay To Be 'Liked' On Facebook Inc? Facebook Inc (NASDAQ: FB) is more than a social network -- it is now an advertising behemoth. An impressive 1.32 billion people use Facebook every month, making it one of the most important promotional platforms in the world. Unfortunately, the company's success has attracted a number of scams that target users directly. Other scammers hope to make a quick buck by selling "Likes" to clueless and/or unscrupulous businesses. Researchers from National ICT Australia, University College London and the University of Iowa recently conducted a study to find out how the underground market operates. They started by creating 13 blank Facebook pages, and included a description, which had one very important message: "This is not a real page, so please do not like it." When paid to "Like" a page, like farms and other underground markets ignored the request and liked the page anyway. M. Zubair Shafiq, an assistant professor in the Department of Computer Science at the University of Iowa, told Benzinga that there are different kinds of like farms. One is controlled by humans who are paid to "Like" individual Facebook pages. They create multiple Facebook accounts and use different IP addresses and proxies to avoid detection. Consequently, they are currently the toughest group for Facebook to eliminate. "It's a very well-built machine where they escape detection from Facebook and everyone else," Dali Kaafar, Ph.D, research leader at the NICTA Network Research Group, told Benzinga. Other like farms exhibited the behavior of a bot, allowing someone to apply thousands of "Likes" in a very short time frame. These are easier for Facebook to detect. Some users collude to gain "Likes" in exchange for liking other users' pages, similar to those who will follower users in exchange for new followers on Twitter. The researchers are aware of this problem but did not study that particular group. "These problems are prevalent in all social networks," Shafiq told Benzinga. "Twitter has the same problem. Instagram has the same problem. Actually, Google+ has the same problem." Most consumers are aware of the dangers of malware, but few realize that it can allow hackers to quietly and automatically "Like" pages to fuel their farms. "I don't think even Facebook has the ability to measure this because fake likes come from very different sources," said Kaafar. "They come from malware... You and I could be liking stuff on Facebook we probably would never hear about because our machines are potentially corrupted or infected with malware that is liking stuff on our behalf without us even knowing." Is there any real value in paying for "Likes," even if they're fake? "I think for many brands [and] personalities, the number of Likes means a lot," said Kaafar. "It means, for some companies, the [attractiveness] of their brands or the popularity of the brand or how people feel about different items they sell." "Likes" also mean a lot to advertisers. "This is a metric for popularity," Kaafar added. "I think yes, it's very similar to the number of followers on Twitter, which essentially is a metric of how influential this particular [user] could be. On Facebook, it also has this commercial value -- advertisers look at this as a possible indicator of the commercial value of that particular brand or personality or VIP -- and so on and so forth." Analysts condemned the idea of paying for "Likes." "It's fraud," Rob Enderle, principal analyst at Enderle Group, told Benzinga. "The danger of doing something fraudulent is you could get charged criminally...it's just a matter of someone figuring out how to file the charges. They haven't yet, which is why we haven't had any criminal charges." Enderle said that a company never wants to be caught in this kind of scandal "because it makes everything that you report questionable. "If you're lying about this, what else are you lying about?" he added. "If an advertiser [or] client starts questioning your numbers, suddenly you go from being a trusted company to a dishonest company. You may not recover from that kind of image damage." Tech industry expert and analyst Jeff Kagan was equally appalled by those who purchase "Likes." "The reason to have a 'Like' command on a page is to see that it's something that an extraordinary amount of people like that you can trust," Kagan told Benzinga. "If those likes are fraudulent, you're believing in something that's not true. So I think it's a disaster. "I don't think the average customer understands it yet. I think Facebook is putting itself at risk of customers losing more faith in the company. That hasn't stopped the company from growing and it may or may not. But customers like it and trust it less and less as the years go by, and this is going to be another one of those things." Will Facebook Inc's Health Care Initiative Exploit Users? Can Facebook Inc.'s Video Platform Compete With YouTube?